If Microsoft Azure’s CTO is right, R3CEV may have just been the beginning. 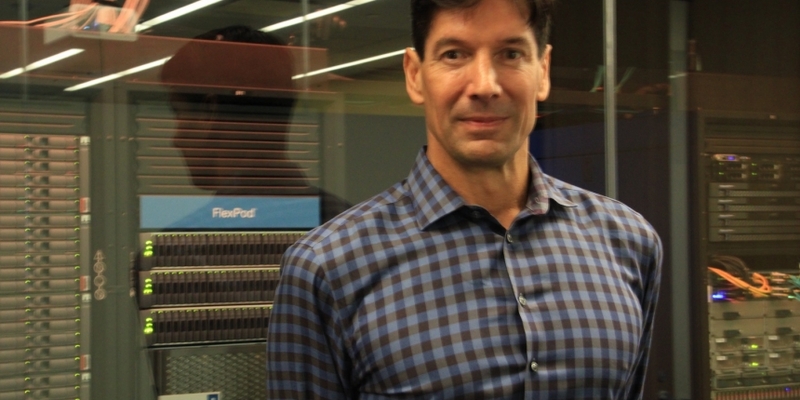 Mark Russinovich envisions a world where every industry is involved in a blockchain consortium. In fact, since the network effect of a blockchain is only amplified by the number of participants, he thinks this future will prove inevitable as companies seek efficiency in numbers. And there’s evidence so far to suggest that Russinovich is right. Since blockchain industry groups first began to pop up last year with the formation of financial consortium R3CEV, the rate of those efforts being announced has only increased. To meet the growing demand, Microsoft has launched Project Bletchley, an effort designed to make it easier to establish consortia. Whereas Microsoft’s Blockchain-as-a-Service (BaaS) suite of tools will remain open to all protocols, consensus algorithms and databases, Bletchley was built from the ground up to help companies in the same industry take advantage of their similarities, even while they compete against each other. Instead of wondering where the next consortium might emerge, Russinovich argues we need look no further than the existing consortia seeing to the needs of various industries. Where they exist, he said, intermediaries exist, just waiting to be made more efficient by blockchain or cut out of the picture entirely. Typically, a consortium is owned and operated by competitors within an industry as a way to create shared standards, unify supply chains and self-regulate so as to return profits to the industry as a whole, according to the Ecommerce Digest definition. Examples that demonstrate the diversity of such vertically connected organizations include the British Retail Consortium, connecting the region’s retail outlets and related businesses; the Additive Manufacturing Consortium, based in Columbus, Ohio, and run by EWI Associates; and the newly formed IoT in Healthcare Consortium, a not-for-profit, subsidiary organization of The Intelligent Health Association. Though Russinovich couldn’t go into details about which specific consortia Microsoft is meeting with, he said that the company is seeing “huge interest” across sectors, including retail, manufacturing, financial and healthcare. “We’re seeing it all,” he said. To accelerate the formation of related blockchain consortia, Bletchley offers a framework of distributed ledger modules with different functionality derived from requests of previous customers. Instead of building from scratch, the companies can form consortia and share what they’ve learned. Russinovich calls it best-practices-as-a-service for blockchain. But building a consortia to share skill-sets and make supply chains more efficient is only as valuable as it is secure. Currently, Microsoft has two endeavors aimed at tightening up security around two crucial areas: the smart contracts that run on consortia blockchains, and the edges of blockchains where third-party data is given entrance. During the original Bletchley launch, Microsoft unveiled a new form of middleware called ‘cryptlets‘ designed to serve as gateways that allow trusted data to interact with a blockchain. Cryptlets are code that can be executed in a verifiable way — the blockchain calls out to a cryptlet that can then “inject” into the distributed ledger real-world data such as the price of a commodity from verified sources. In a Microsoft white paper the company describes cryptlets as the “fabric” used to construct a blockchain enterprise consortium. Whereas cryptlets are focused on making sure the edges of a blockchain are secure, Kinakuta aims to make what happens on the blockchain less susceptible to bugs. Unveiled last week, Kinakuta is an early-stage working group where industry leaders have been invited to help make smart contracts more secure. If industry consortia are ever to form, the success of efforts like this are crucial. As was made clear by the collapse of The DAO smart contract earlier this year, vulnerabilities in these programs can have wide-spread ripple-effects if enough people agree to the terms. To make such bug less likely, Microsoft’s director of business development and strategy, Marley Gray, told CoinDesk that Kinakuta employs a custom coding language designed to minimize human error. By creating a framework with which consortia members can connect and enabling safe ways for consortia members to port-in their own data and data from trusted third-parties, Russinovich believes Microsoft has laid the foundation for an explosion of blockchain industry groups. Microsoft first entered the blockchain industry in late 2014 when it rolled out its inaugural partnership with bitcoin payments provider BitPay. One year later, it would launch a new Blockchain-as-a-Service toolkit hosted on its Azure cloud development platform. Since then, Microsoft has added over a dozen third-party “tools” to the platform, including most recently, a services created by cryptocurrency projects Monero and Tendermint. As part of Microsoft’s move to lay the foundation for wide-spread consortia, the company announced Bletchley in June, followed earlier this month by the opening up of access to its Blockchain-as-a-Service offering to all users of the Azure testing environment. Currently, Microsoft is working on cryptographic tools designed to give future consortia members increased privacy while still leveraging the reliability of a shared ledger. According to Russinovich, his goal is that within the next three years consortia building with Microsoft’s tools will be operating on a larger scale with fewer middlemen.